The Imo State Governor, Rochas Okorocha, has sworn in Jude Ejiogu as the newly appointed Secretary to the State Government (SSG) and Uche Nwosu as the State’s Chief of Staff. 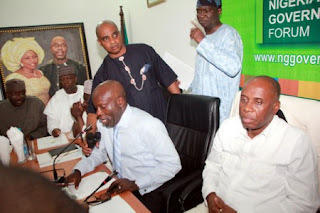 The swearing-in ceremony was held on Monday at the Sam Mbakwe expanded Exco Chambers at the Government House in Owerri, Imo State Capital. At the event the inauguration of Chief Press Secretary, Sam Onwuomeodo, and some other Senior Special Assistants was also held. 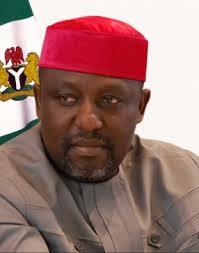 Governor Okorocha, while speaking at the ceremony, reiterated his commitment to the development of the state, saying “developing Imo State is key in my rescue mission and it can only be achieved through the establishment of industries and job creation for teaming unemployed youths in the state”. While advising the newly sworn-in appointees, Governor Okorocha urged them to imbibe the spirit of sacrifice and be a strong apostle of the rescue mission to make Imo a better state. He also said that the next four years of his administration would focus more on how to generate wealth for the people of the state and create adequate jobs for the teaming unemployed youths in the state. “Imperative in my agenda for the future generation in the state is leaving a lasting legacy of a well developed state,” he stressed. Speaking to Journalists after the event, the SSG, Jude Ejiogu, on behalf of the appointees, said they would not fail in supporting the government and delivering the dividends of democracy to the people.